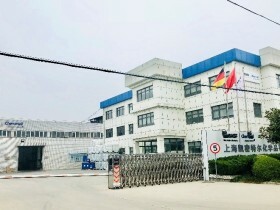 Shanghai Chemetall Chemicals Co., Ltd., founded in 1995, is a subsidiary of Chemetall GmbH, a leader of surface treatment technologies in the world. 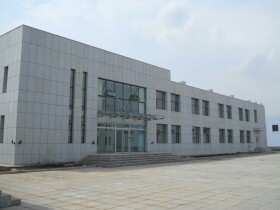 It is actually one of the biggest manufacturing sites of modern surface treatment products in China. Based on the technological leading position of Chemetall GmbH, Chemetall Shanghai is growing fast and gradually taking more market share of surface treatment industry in China in the advanced international level. Our products cover all niche markets like Automotive, Coil Industry, Aluminum Finishing, Automotive Components, Appliances and Electrical Goods, Cold Forming, Metal Working Fluids, Glass Industry and General Industries.tec. that ensure our sustainable growth. Changchun Chemetall Chemicals Co., Ltd.
Changchun Chemetall Chemicals Co., Ltd. began operation in Jan 2005 and manufactures surface treatment and other chemical products. The companies' goal is to introduce Chemetall's advanced surface treatment technology into the northeast automotive industry to provide quality products and excellent service. Chongqing Chemetall Chemicals Co., Ltd.
Chongqing Chemetall is one joint venture company of Chemetall in south-west of China. Established in 2002, the company produces mainly fine chemicals, surface treatment chemicals and special polymers. Chongqing Chemetall employees approx. 80 people at present.